How have I had this blog for 3 years!? It's hard to believe all of this started back in 2009 with this post. It's been great to be able to look back at different life moments through this blog, especially with me growing up since I started this when I was 16. One of the biggest reasons why I started blogging was so I could document my style and find inspiration through other blogs. It's been so fun to see how my style has changed through the years. Within this year I went strictly to the sales racks. Don't get me wrong, I'm still all about discounts but I wouldn't even look at anything else and in a way I think this limited my wardrobe to mostly basic pieces. I wore high heels, especially from Wet Seal, all of the time with skinny jeans and dresses. I was usually more into laid back pieces during this time. I remember at the beginning of this year being so inspired by some of my favorite tv shows and celebrities. 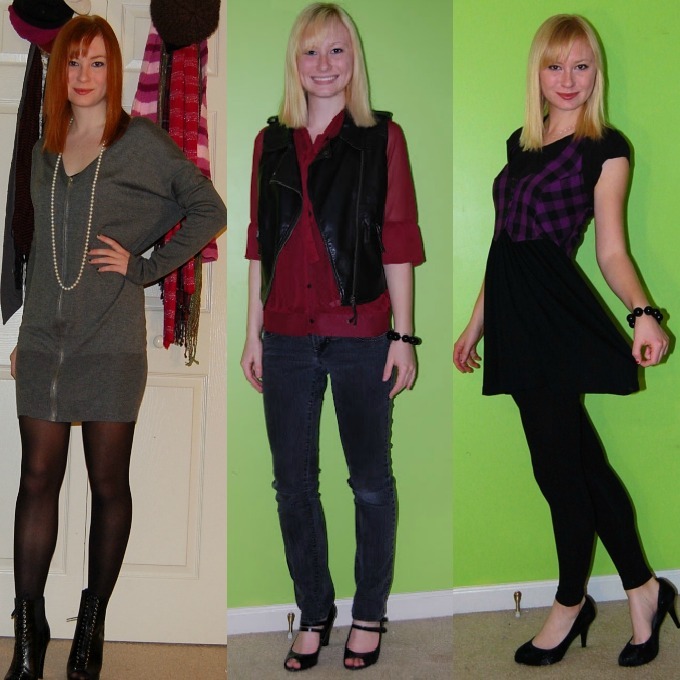 I was always looking for outfits that reminded me of Rachel from Glee, Gossip Girl, Kate Vogele and Taylor Swift. Half way through the year is when I started to find my own personal style and realized how I loved dressing girly but with a vintage twist. This last year is when I think Ive grown into my style more than ever. I realized there aren't any rules in fashion and I wore whatever I wanted without too much thought. So, I bought some heart printed wool shorts, leather shorts and even some red pants. Moving to Philadelphia, my style started to become more edgy along with the city but by the end of this year I think I found my girly-vintage self again. Your style is spot on this year! Although you totally looked like Felicia Day when you stated out! I adore how your fashion has evolved! I lovve how you look so relaxed now, but at the same time so put together! Congratulations! I love seeing how your style has evolved. You rock girl! Congrats on three fabulous yeras!! 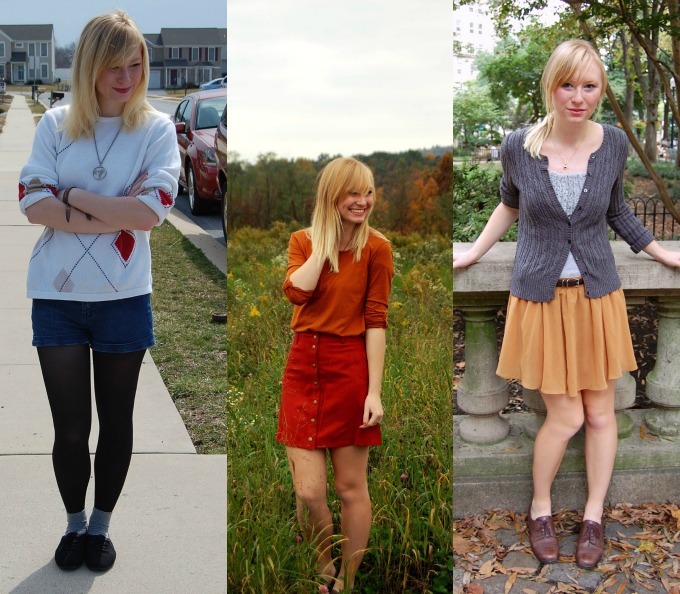 So fun to see how you have transformed over the years in this post - love it!! What adorable looks you have! I love this year's November the most. Congrats and happy blogoversary! Here's to many more years to come! Ah! 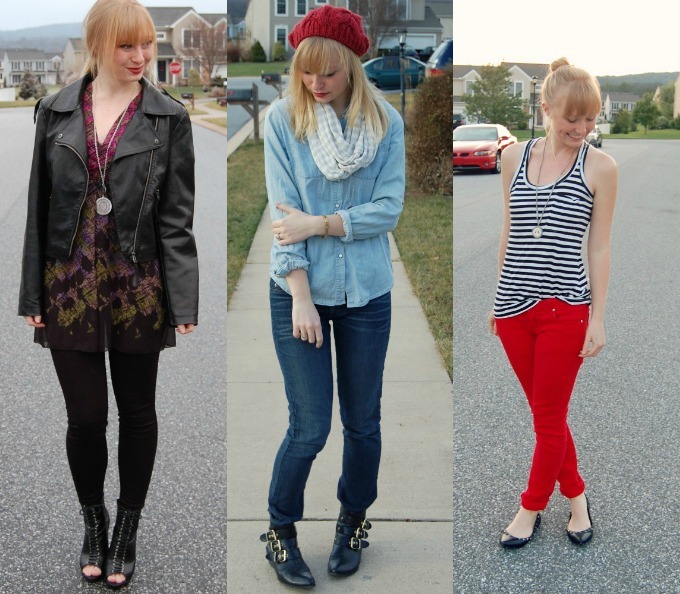 I love to see how your style and pictures have progressed since you started. This gives me such a good glimpse into your blog. P.S.- Thanks for liking my Facebook page for my blog! what an amazing re-cap of great, inspiring outfits!!! not to mention seeing the time pass by and your style growing right along with it :) happiest blog-aversay wishes Chelsea!! i'm so glad you stopped by, it's been a while since i came over and i was thrilled to be reminded. Aw I love this, I had no idea you were a red head! You look so good blonde! Oh my goodness, how fun to look back and see how you've evolved! Such a great post! I see yourself growing up! This blog is a part of yourself! Would you like to follow each other? So let me know. Really so ncie outfits. Would you like to follow each other via bloglovin? Have a nice day. i can see how you looked for your style and became more and more yourself. you have a very versatile and creative style i like it!